Mangaluru, Nov 2, 2016: An incident reported has brought to light that a man posing as customer managed to flee with 72 grams gold jewelry from a shop in the city; the value of stolen items has been estimated at Rs 2 lakh. 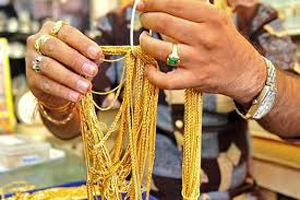 It is said that as the owners were checking the stock, they found the shortage of 72 grams gold. When employees were unable to provide satisfactory answers, the CCTV footage was checked, which revealed the theft on October 28. Sources say that a man entered the shop showing interest in purchasing jewelry. When the employees were busy with other work, the man managed to take away the gold. A case was registered at Bunder station. Foolish people. Why do you ever think of stealing you will be caught at any cost by the police. The man will be held by police soon . Don’t worry wait for the red carpet by police.